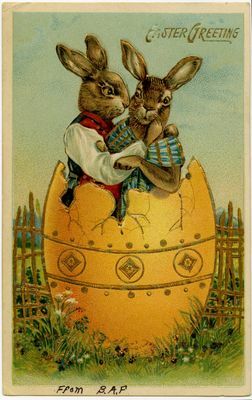 Postcard sending Easter Greeting to Maine author and political activist Ethel McLean Johnson. A short note has been added to the front that appears to say "From B.A.F." Found withing a collection of Johnson's papers ranging in date from 1905-1972.